Jose Mourinho held conversations with Yerry Mina and his representatives ahead of a proposed move to ​Manchester United this summer; however, the Red Devils hierarchy decided to pull out of the deal due to both the player's and club's terms, according to reports. As last Thursday's transfer deadline loomed, the north west outfit attempted to lure a number of centre backs to the club, including ​Barcelona's Colombian defender and ​Atletico Madrid's Diego Godin. However, according to ​The Sunday Times, last year's ​Premier League runners-up only began to chase the Spanish capital guardian after pulling out of negotiations with Mina; which came about for a series of reasons. The report claims that Manchester United bosses were not willing to accept Barca's request for a buyback clause being installed into the agreement - a common theme in most of the Catalonians' dealings. 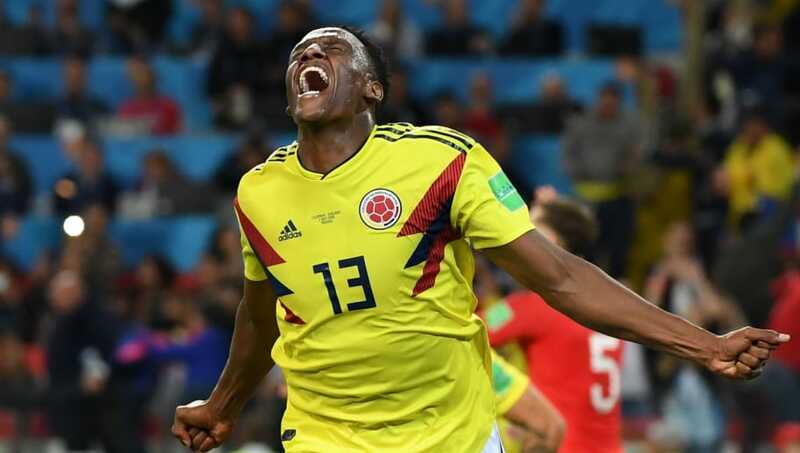 Yerry Mina signed a five-year deal at Everton. “It is important that the club want to fight for something.This is why I am here." In addition, the Old Trafford chiefs were left unimpressed with the structure of fees set out by the 23-year-old's agent or indeed his overall attitude during talks, while also refusing Andre Gomes be a part of the transaction. ​Everton, meanwhile, seemingly did not see such factors as roadblocks in reaching an agreement with Barcelona; completing the £27m signing of Mina alongside securing his Barcelona midfield team-mate on a season-long loan before Thursday's 5pm cutoff. However, unlike United, the Toffees were also not against including the aforementioned buyback clause, which is understood to be in the region of €60m (£53.6m). Despite an impressive World Cup, the centre back failed to shine at the Camp Nou during his debut season last time around and will be hoping no such difficulties stand in his way during his inaugural campaign at Goodison Park. And although the Red Devils still need reinforcements in defence, as was shown as Mourinho's men once again relied heavily on the heroics of David de Gea during their ​opening day win over Leicester City on Friday, there is still hope January may bring with it an arrival of more assured quality.